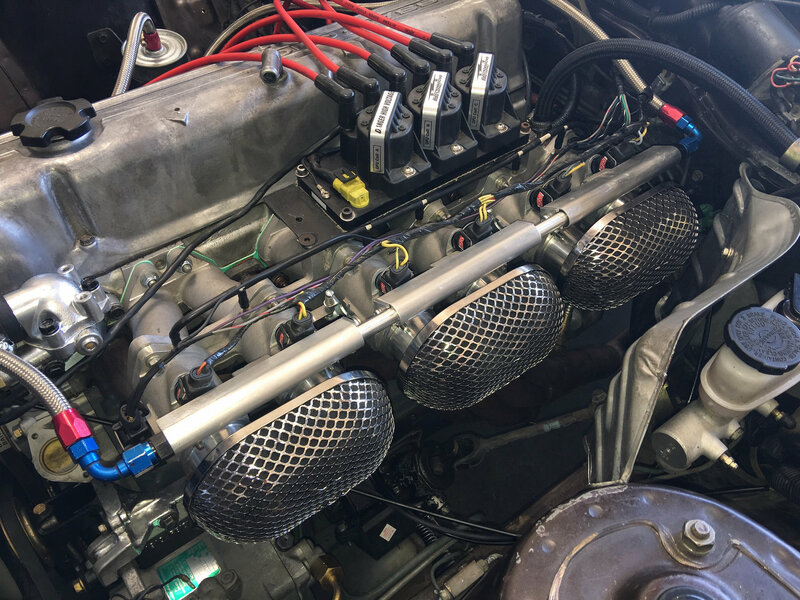 Triple Weber Carbs and Triple TWM-BORLA ITB Packages. Datsun Z Car Triple ITB Package with Air Horns or WIth Air Filters. Pictured with the Ramflo Air Filters....See other picture for what the Horn option looks like. Pictured with the Ramflo Air Filters....See other picture for what the Horn option looks like.These wil be a Polished Horn. ITB Specific TPS with Plug and Pins. 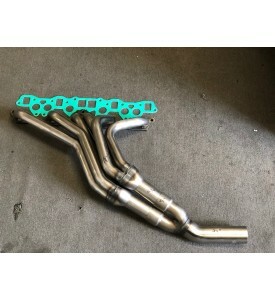 1.625" Big Tube Race Datsun header Z "L" series 240Z-280ZX with head pipe and Gasket. 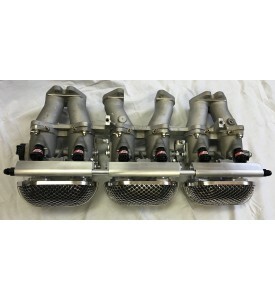 This header is totally unique...The Ultimate header for all 3.0+ engines or any Z Making more than 275 HP. Large Tube 1.625" Primary Tube 3-2-1 Design with 2.25" Collectors at the merge. Fits all 240Z, 260Z, 280Z and ZX models. NOT the Chinese made fall apart headers.